Microfiltration membrane product for municipal and Industrial waste water treatment. 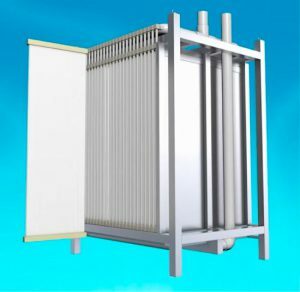 Using PTFE ( polytetrafluoroethylene), which has excellent chemical resistance,heat resistance and durability ,we have developed a porous separation membrane making the best use of our unique processing techniques and created the POREFLON MODULES for waste water treatment systems.This product features various characteristics, such as high strength and high permeability. In addition ,it can be cleaned with various chemicals, and is easy to handle. Thanks to the effect of hydrophilic surface treatment. As a result, the product can be used in a wide variety of waste water treatment applications. 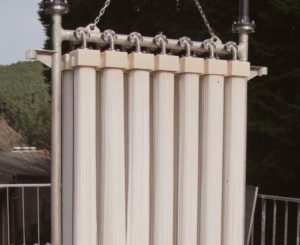 POREFLON modules comes in two types submerge module and pressurised module ,allowing the selection of an appropriate module depending on its application.